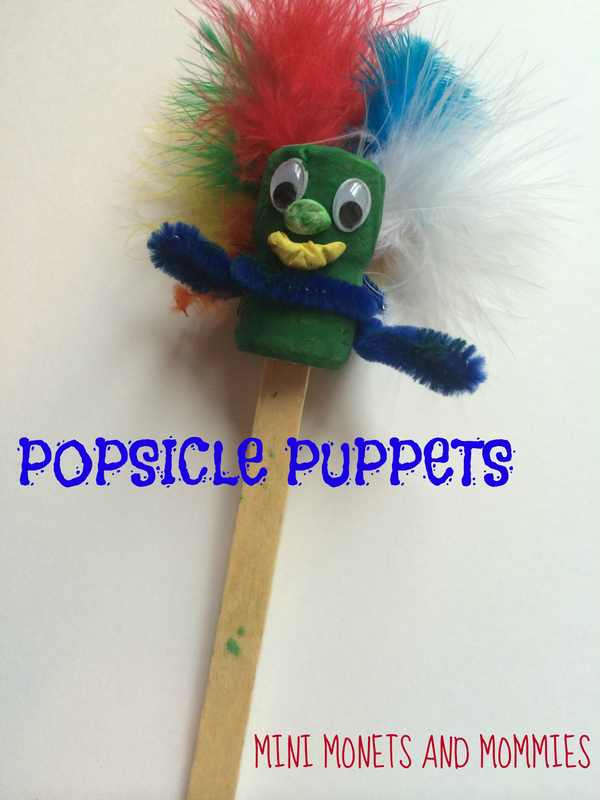 If you’re searching for an easy puppet making craft for kids, look no further. I’ve made loads of puppets – plaster pretend friends, paper bag versions and even a marionette or two (not the super-fancy kinds that you see on stage, but a pint-sized version that a child can create). The other day my husband left a cork sitting out on the kitchen counter. As a picked it up to throw away – along with my son’s popsicle stick – it struck me that combining the two items could equal an uber-easy puppet craft that also had a lesson on the environment thrown in too. So, recycle, reuse and get crafting. 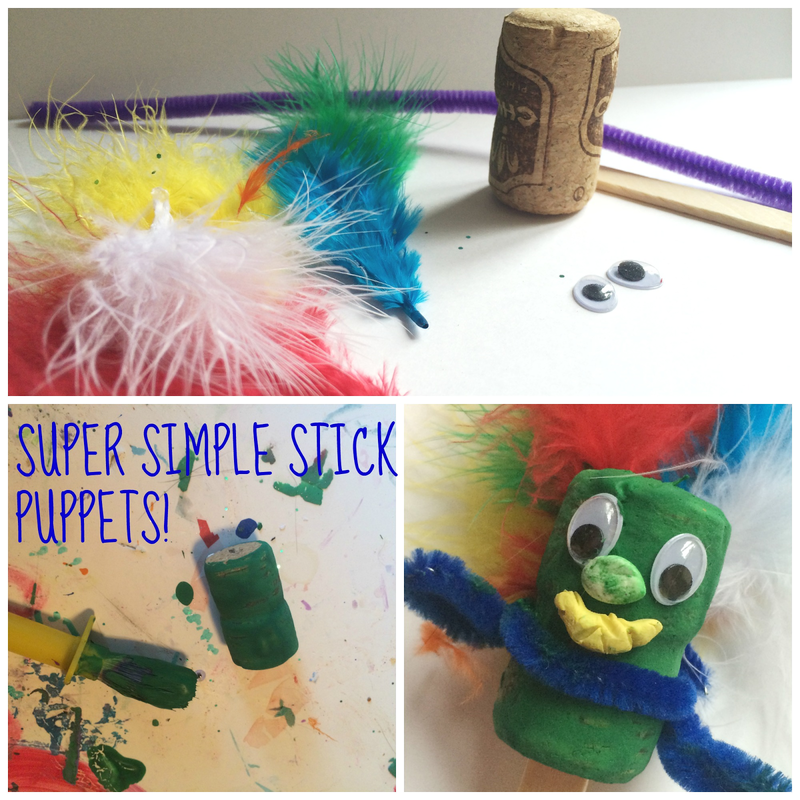 After your little artist creates her cork stick puppet, she can use it to stage a pretend play! Your child can make an imaginary creature, an animal or a favorite character from a book or movie. 1. Paint the cork with the tempera. Set the cork aside until it dries. 2. Glue the googley eyes to the front of the cork. Your child can add the other facial features – the nose and mouth – with modeling clay. Use colorful clay or encourage your child to paint it her own hue. 3. Wrap the pipe cleaner around the cork under the mouth. Fold the two ends in to create arms at the sides of the cork. 4. 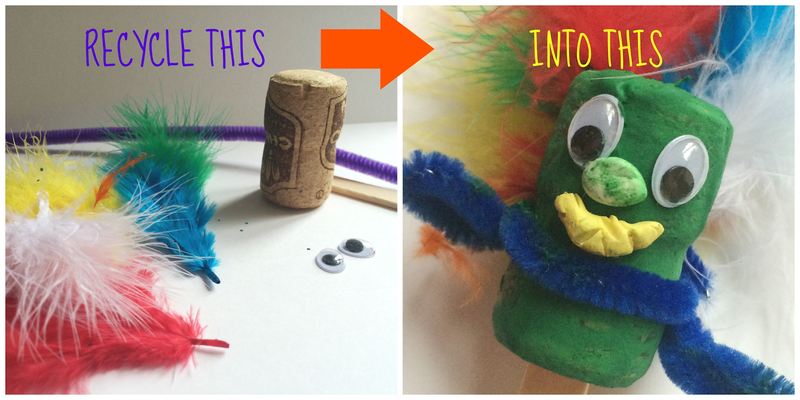 Add extra embellishments such as craft feathers or craft fur to “dress up” the puppet. 5. Push the popsicle stick into the bottom of the cork. If your child struggles with this step, cut a small slit in the bottom with a pair of scissors for her to ease the stick in. This idea is so fun and I love the idea of using things around the house to craft with! Thanks! It's a fun way to reuse things that might otherwise go in the trash. This is a really fun idea and so easy to do - sure my daughter would love it! Thanks so much for taking part in the parenting pin it party. These are really cute and nice and simple for little ones.